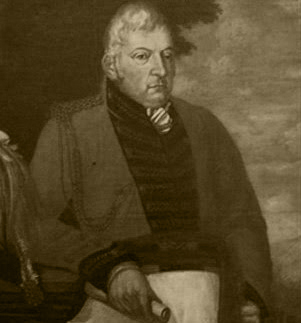 History has been kind to General Don (see LINK) Gibraltar's acting Governor from 1812. He was one of Gibraltar's longest serving Acting Governors and oversaw a series of initiatives which were advantageous to both the residents of Gibraltar and its Garrison. The building of "Bleak House" however, was not one of them - even though his motives were undoubtedly good ones. 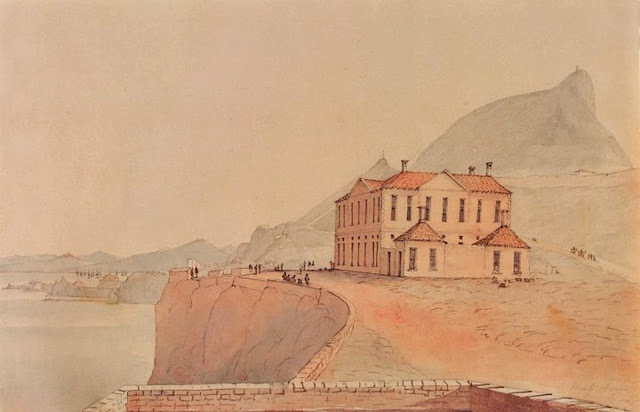 The building - a rather incongruously British looking mansion on the very edge of Europa Flats overlooking Little Europa Bay to the south and Europa Bay to the north - was completed in 1817 by Sir Charles Holloway, Commander of the Royal Engineers at the time. It is essentially a square two storey building with an open courtyard inside. 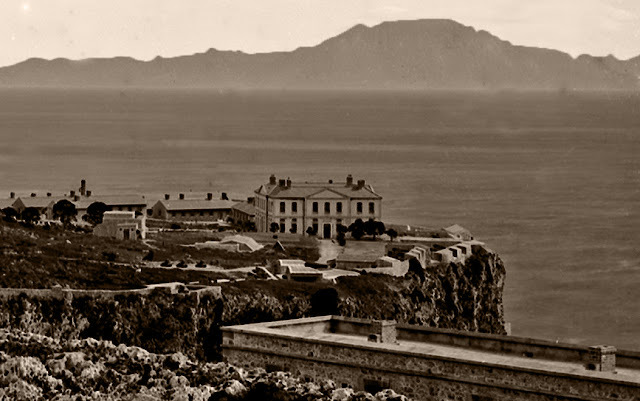 The intention was to use it as a sanatorium for officers and General Don's rationale for building it were probably heavily influenced by his direct experience with the Rock's appalling medical history during the early 19th century. In 1804 about one thousand members of the Garrison and their families and nearly five thousand locals were killed by a yellow fever epidemic. (See LINK) In 1813, 1400 lives were lost, including that of the Governor Sir Colin Campbell. In 1814 the casualty list was increased by a further 200 odd soldiers and civilians. 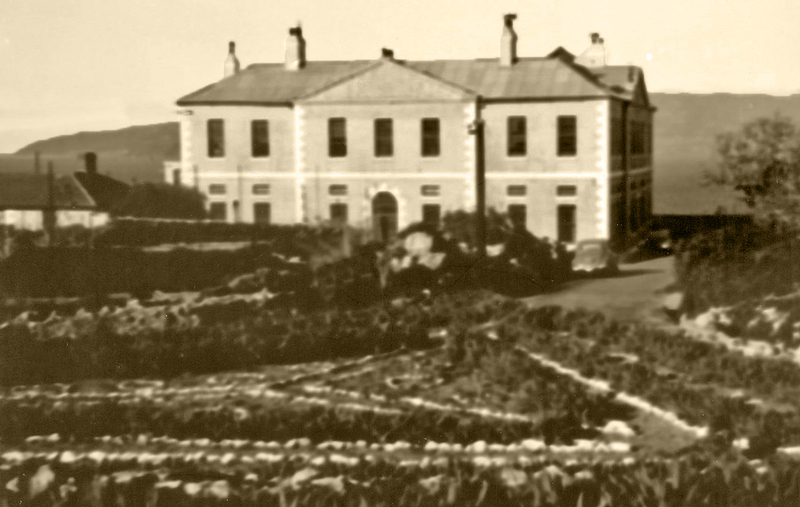 The sanatorium was not a success - in 1820 - just three years after its opening - it ceased to be used as one. Apparently it was thought cheaper to simply send people back home. 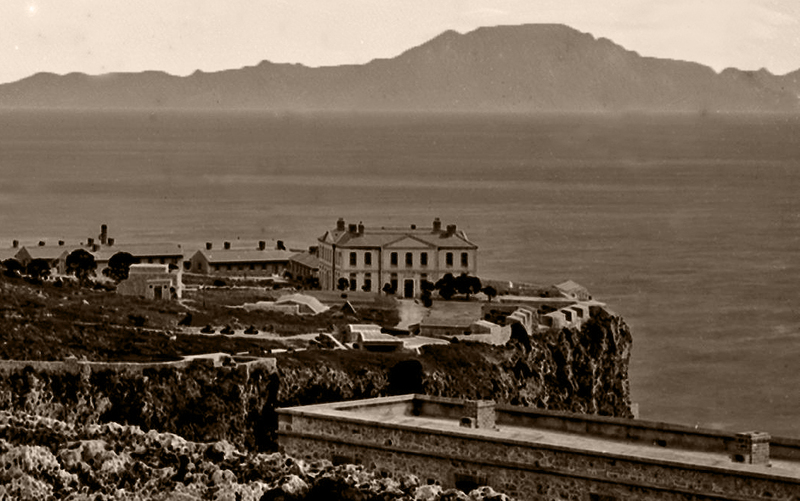 It not remain empty for too long and was put into use as an officers' mess - of which the officers who happened to have been billeted there must have thought that they had drawn the short straw.
. . . a large building occupied as an hospital on Europa Flats was converted into officers' quarters and mess-house. In this building eleven officers are now uncomfortably quartered. It stands remote from any other building, is exposed to every tempest that visits the Gut is a mile from the soldiers' barracks, two from the town and three from the market. In other words he was not impressed. But perhaps it is worth mentioning that Anton does not call it "Bleak House". 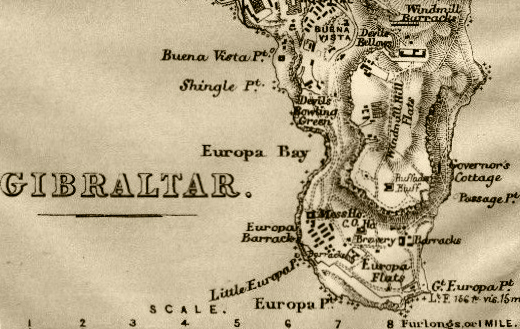 It suggests that at least during his stay in Gibraltar it may not as yet have received this nickname. Several maps of Gibraltar published around the mid 19th century invariably show and often label the house - mostly as an Officers' Mess but sometimes as a hospital. 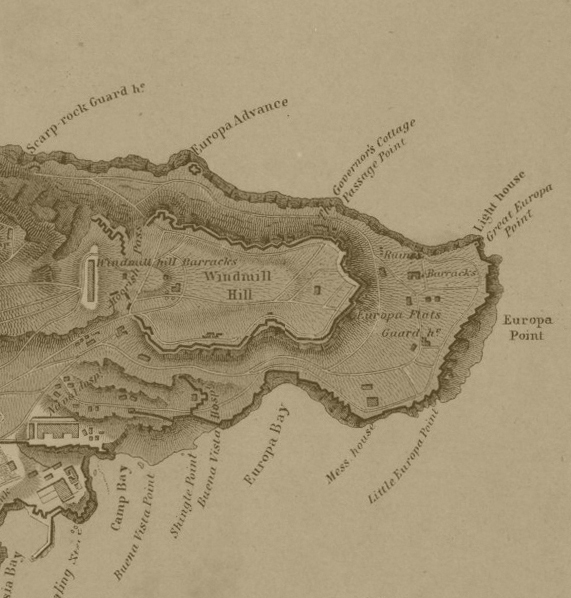 Which probably only confirms the obvious - that maps are invariably out of date in the way that they depict places. But perhaps the most remarkable thing is that in none of these maps or in any of the literature that I have read is it ever referred to as Bleak House. There is no doubt that it is a name that suits it - something that is well demonstrated by many late 19th century photographs. By the late 19th century a series of huts were built close to and south of the Mess House. 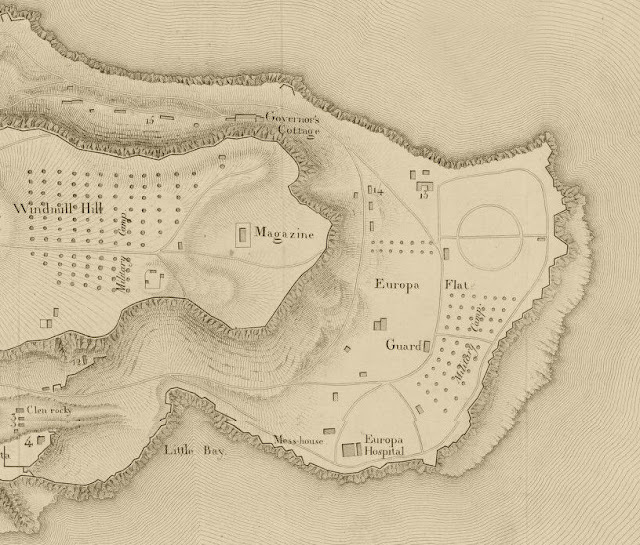 The area and its huts were known as Europa Barracks. 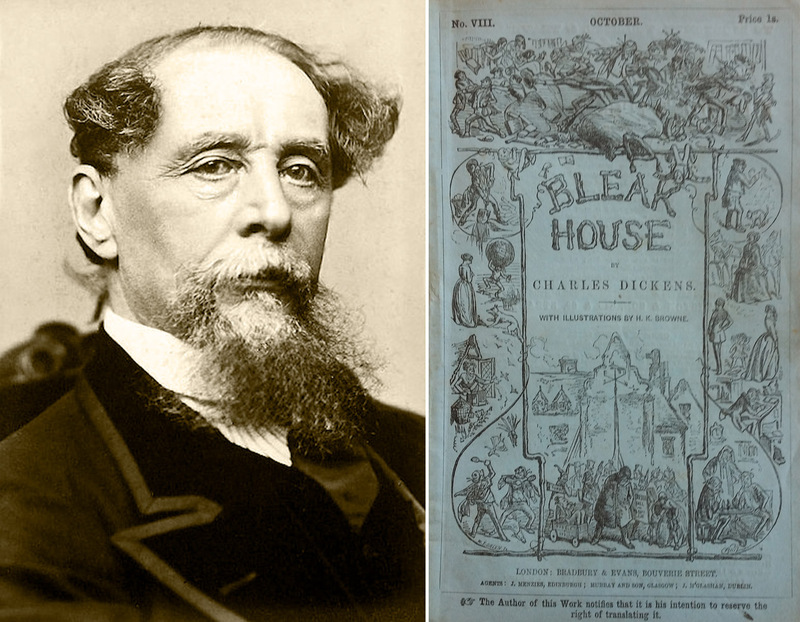 Over the years nobody has come up with a satisfactory explanation as to why the place was called "Bleak House". One theory that refuses to go away is that it derives from Charles Dickens book of the same name - some even going so far as to say that this the building he had in mind. 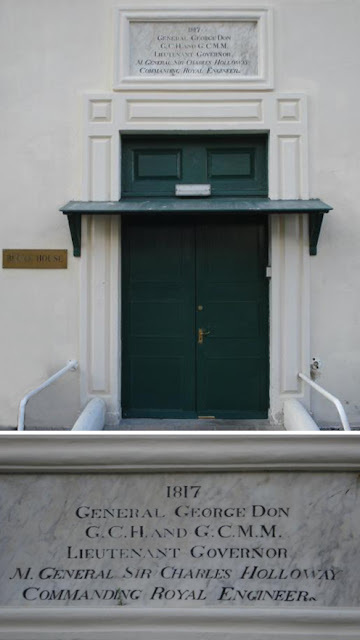 On the whole such a theory fall rather flat when you realise that Dickens first published his story in serial format between March 1852 and September 1853, whereas the Gibraltar building existed well before that. 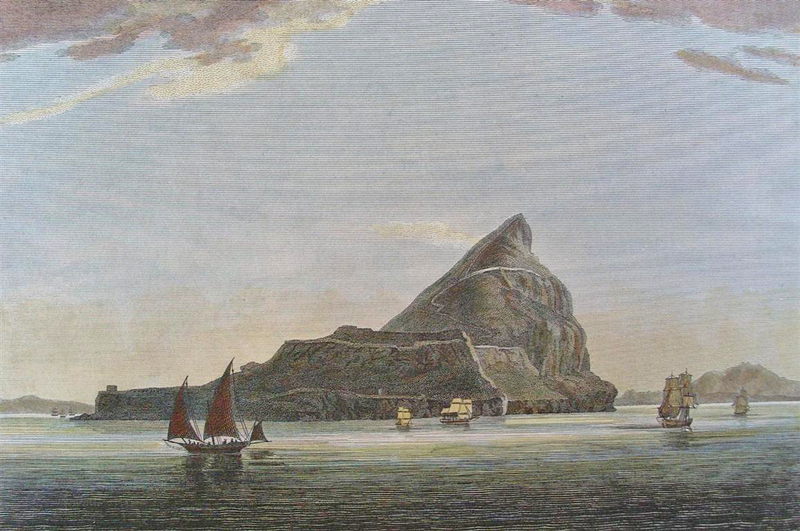 It is possible that Dickens may have visited the Rock, seen the building, transferred it in his imagination to England and used the image as a backdrop to his book. This seems very unlike for two reasons - there is no evidence of Dickens having ever visited the Rock and in any case it well documented that his inspiration for Bleak House came from a building with the same name in Broadstairs, Kent where he spent many a summer while establishing himself as a writer. 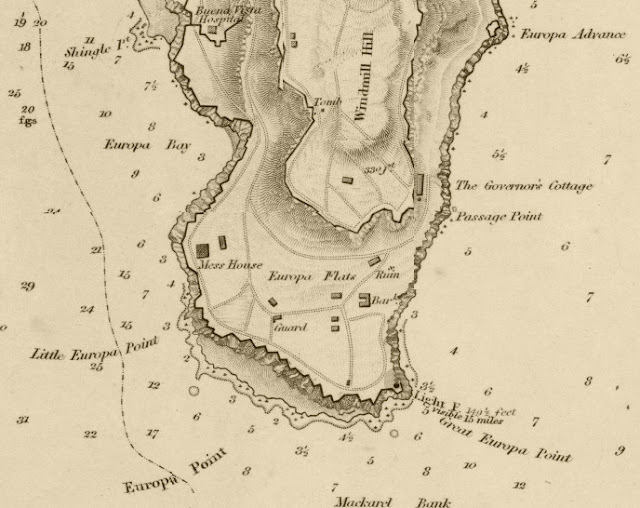 However it is curious that it has proved impossible to find out either in the literature or from other documents or maps exactly when the nickname was first used. 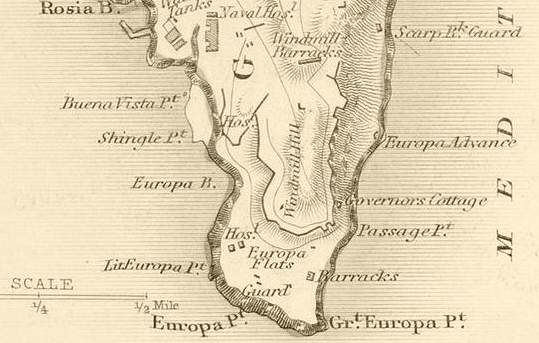 One possible theory is that the name may have been given to it by officers who having read the series in the Garrison Library (see LINK) decided either in irony or in anger to name the Gibraltar version accordingly. 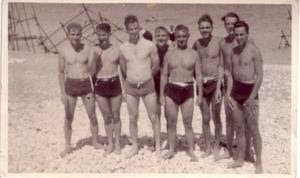 A month or so later I was transferred to the troop at Europa Point . 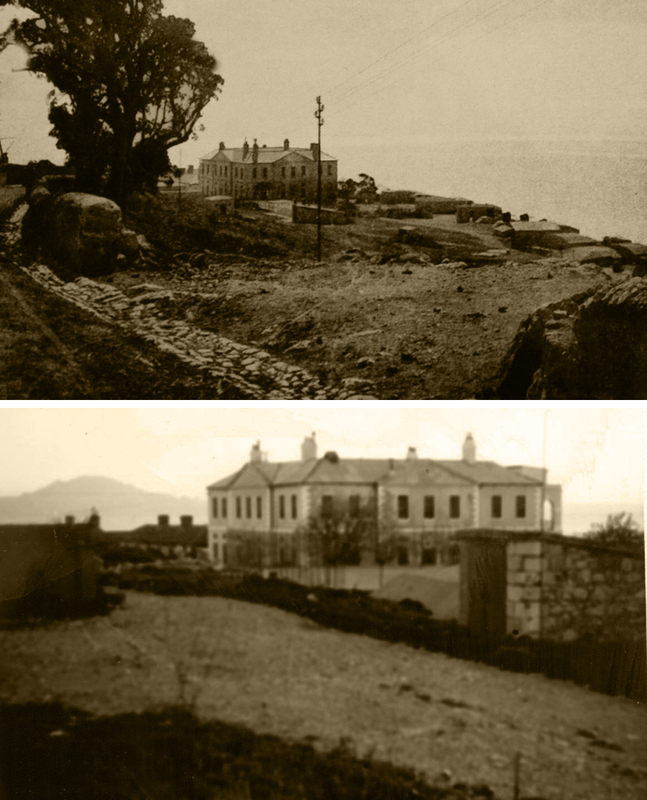 . . sited yards from a Georgian building Bleak House the R.A. Gibraltar Officers’ Mess - steeped in history and tradition and posh. It was spacious and quite formal - for dinner anyway. A few regular officers swanked and wore dress uniform for special occasions, Dark Blue buttoned up to the neck with chain mail epaulettes and dark blue trousers with a wide red stripe and the food, not Cunard White Star of course but with basic army rations supplemented with fish and fruit and vegetables from Spain paid for by a general subscription to Mess Funds. I had a really spacious bedroom and I bought my batman Gunner Bryant down from Windmill Hill - now doubling up as a very smart mess waiter. In 1963 the building was earmarked for demolition. For unknown reasons the powers that be had a change of heart and refurbished it instead. Five years later it became the Command Education Center. 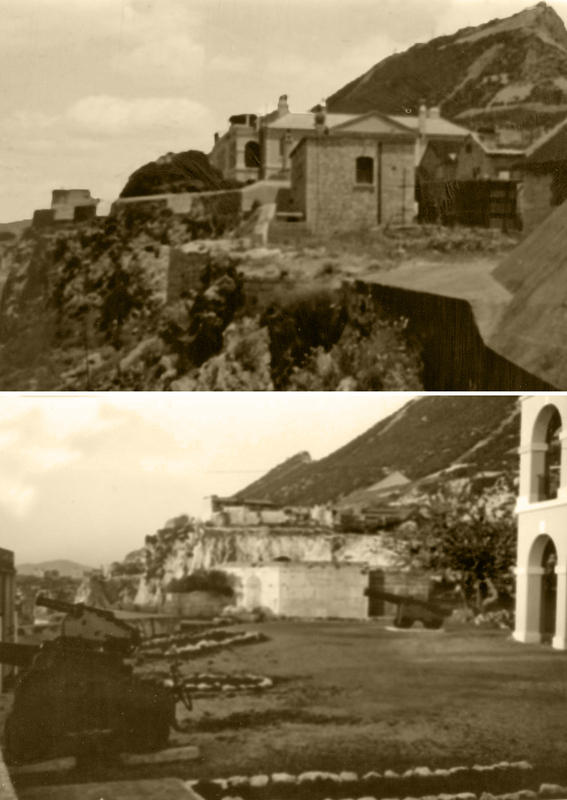 By the early 21st century - it had by now been handed over to the Gibraltar Government by the Ministry of Defence - it was put to use as a learning center for IT courses for older students. With acknowledgements to Joseph Ballester - much of the information in this article came originally from him. All photos not otherwise attributed are his. Thank you Joseph.